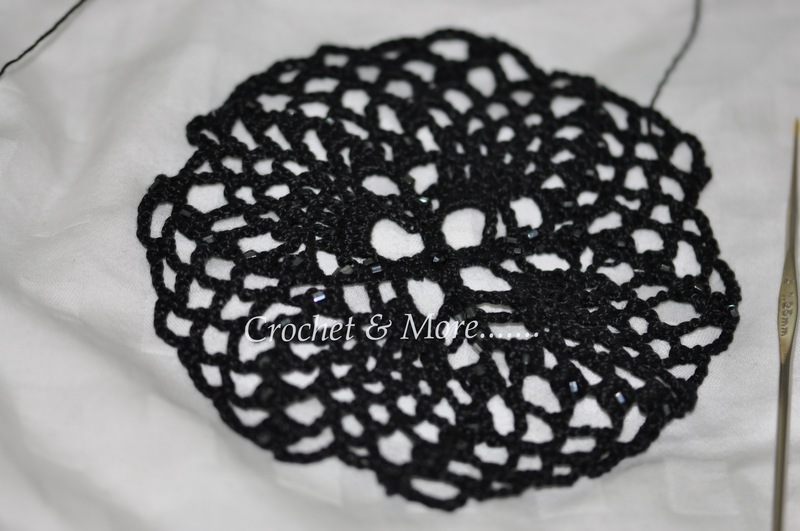 The sad part about crocheting in black is that it doesn’t photograph very well, unless you have professional lighting. 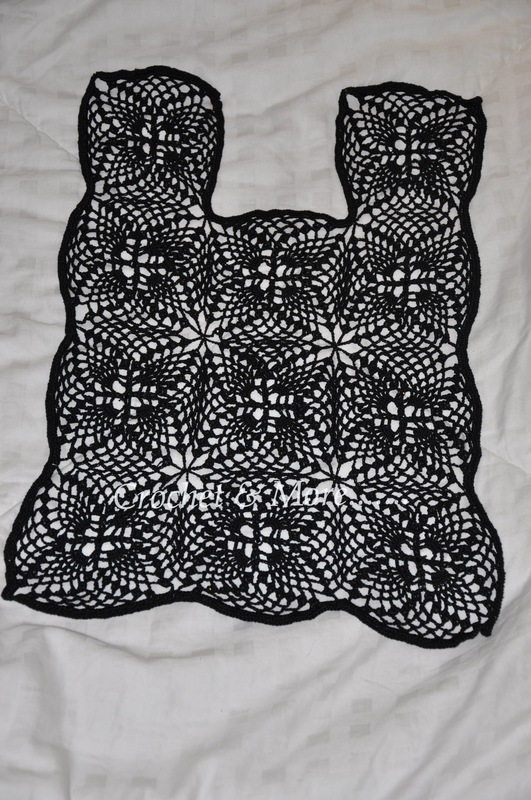 When a dear Friend’s daughter was asked what colour she would like her vest to be in she replied…Black. And as this was my present to her….I wanted her to have what she liked. 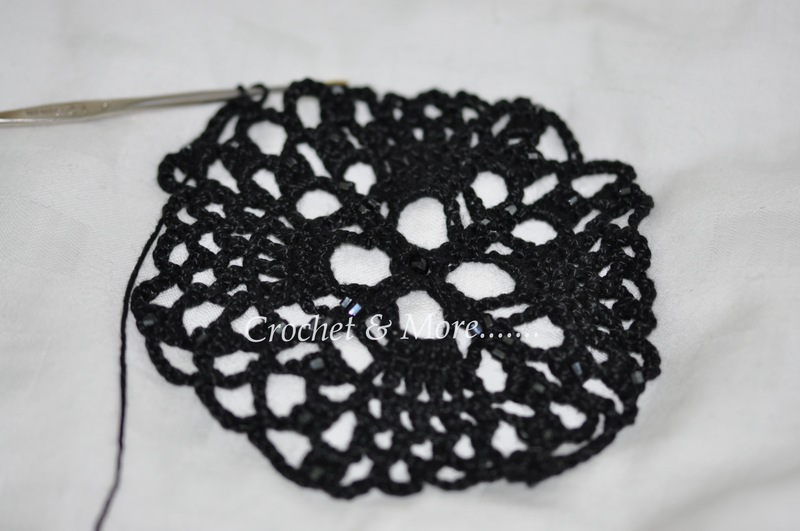 I tried using an Anchor cotton#20….but found that it wouldn’t hold shape unless it was starched. 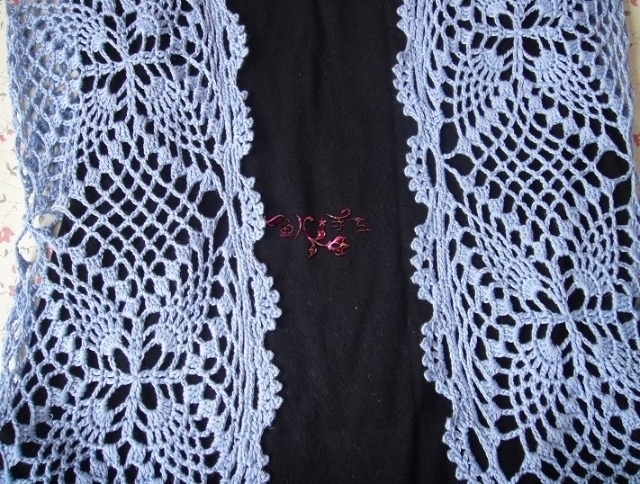 But when I tried it in Red Rose Cotton….it worked very well…but I found the swatch dull as ditch water….. 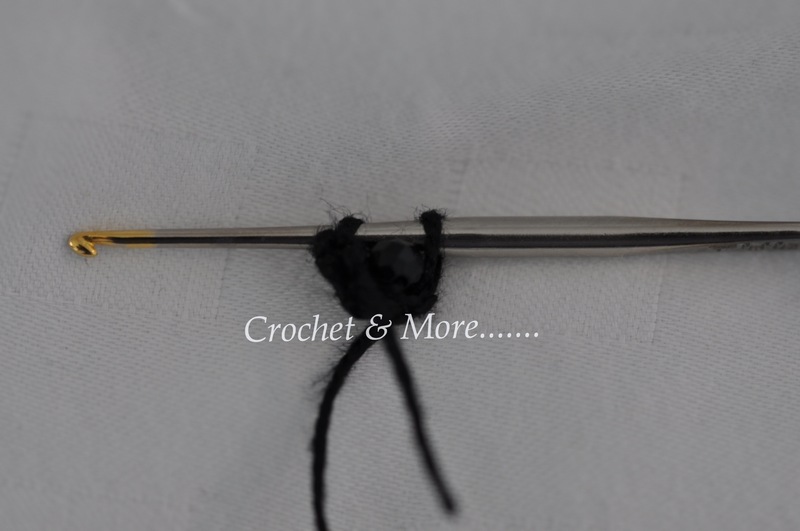 This was clearly a case for those lovely black Japanese tube beads and black crystal beads. So I called them in and they arrived full of zeal and a great sense of duty to enliven this pretty pineapple patterned vest……:-))!! 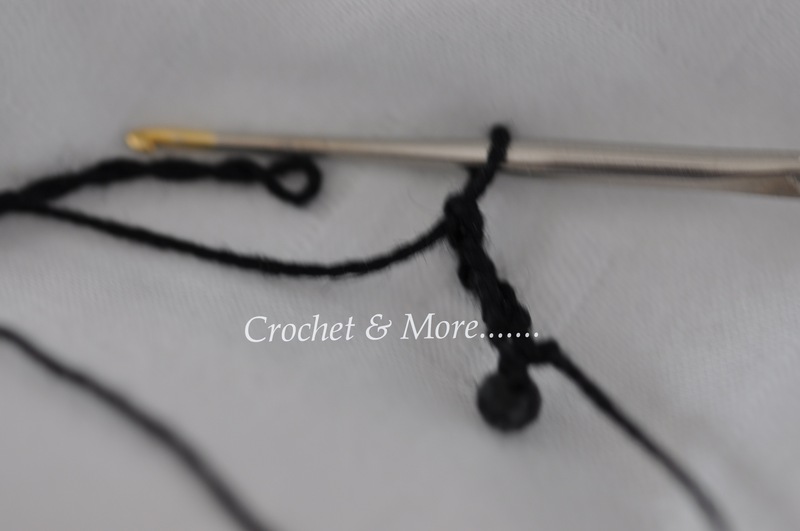 Beads: Japanese tube beads – 64 nos for each motif….to be threaded in before you start crocheting. So 1280 in all . 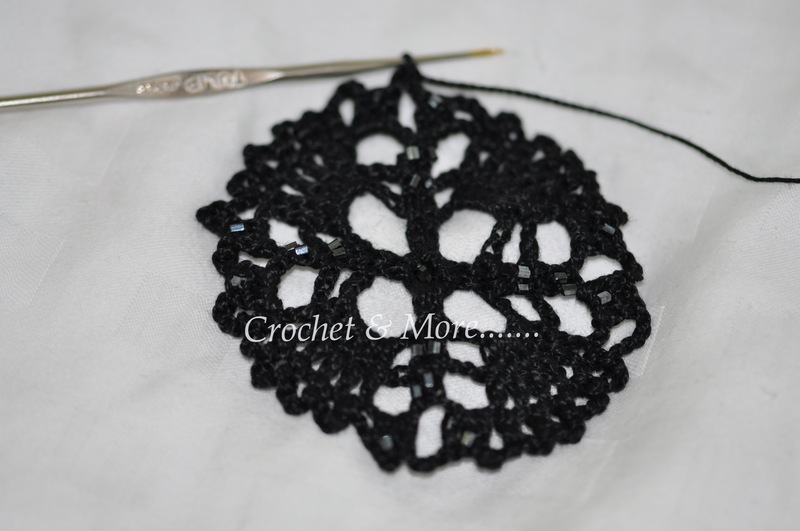 1 Black Crystal Beads for the centre of each motif. So 20 in all. The measurements I used were to fit Shoulders – 36 centimetre; waist – 23 centimetre and the total length – 50 centimetre. 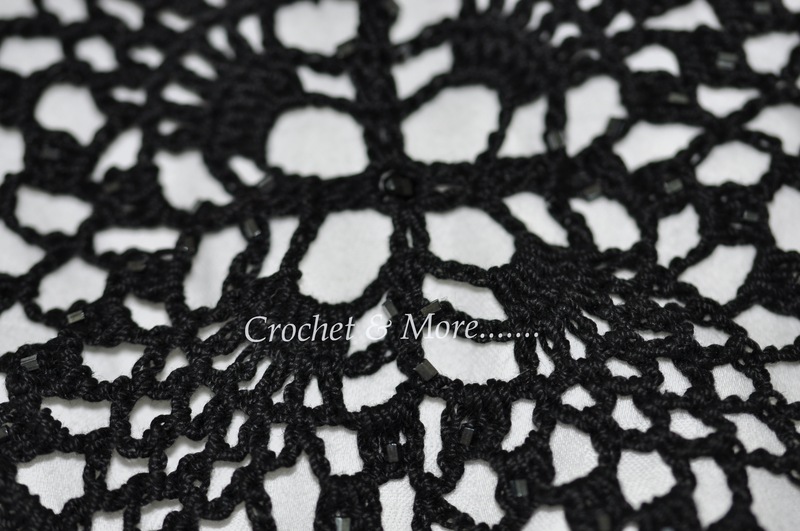 I had downloaded this pattern a long time ago…..but now have lost the link…..I suggest that you try livenetinternet. 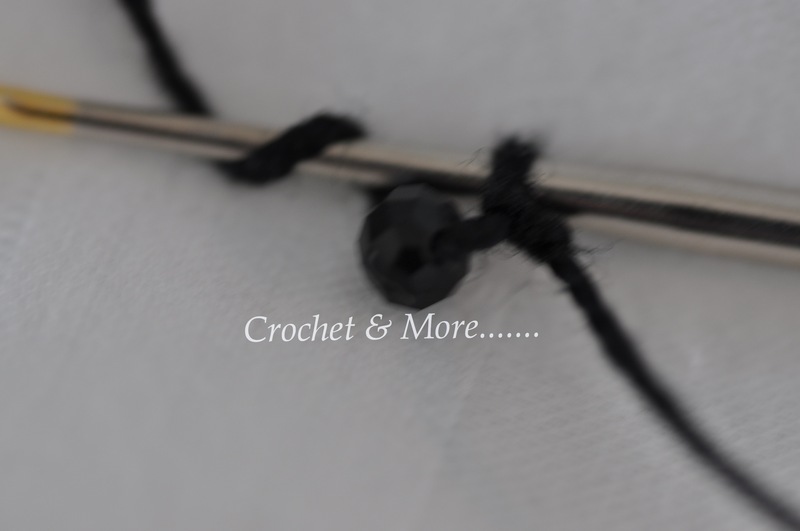 Decide on where you would like the beads to be. I like things to be understated….esp garments and accessories. 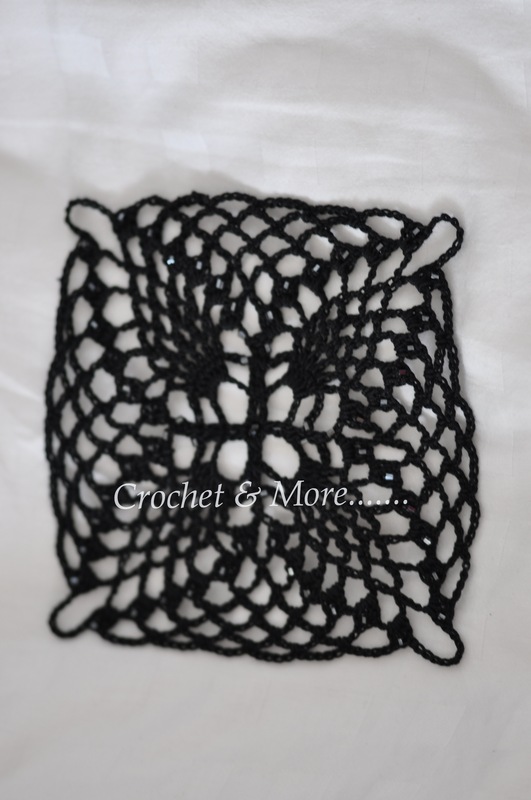 So as I mentioned earlier, I used only 64 Japanese cylindrical beads for each square motif and one black crystal bead in the centre of the motif. 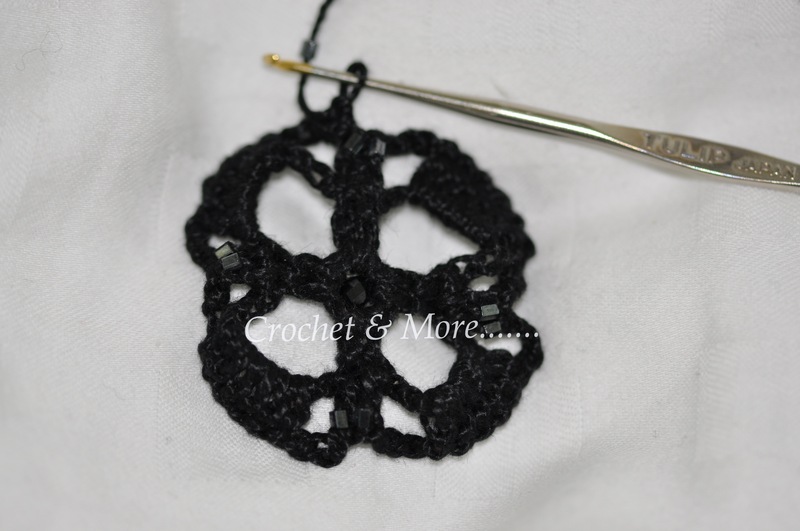 First thread in 64 tube beads and then 1 black crystal…so that when you make that first ring you can loop that crystal bead into the centre of the motif first. 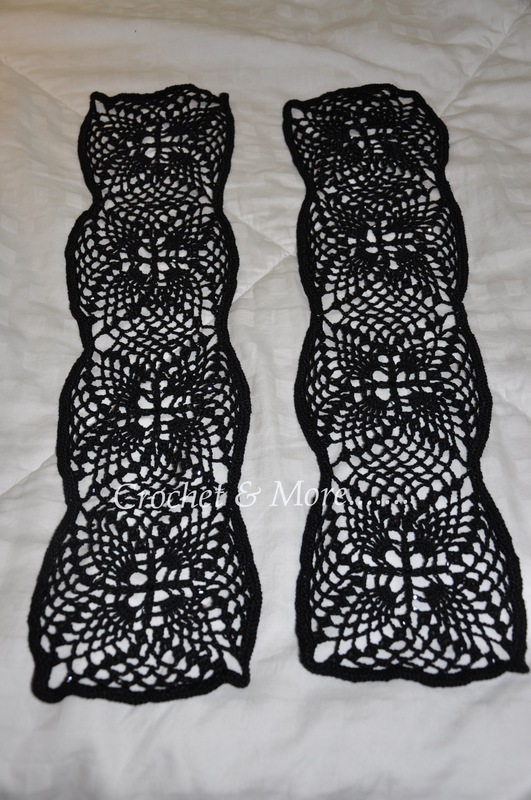 When you reach the last row of the second motif …hook in that row while joining it to the first motif. 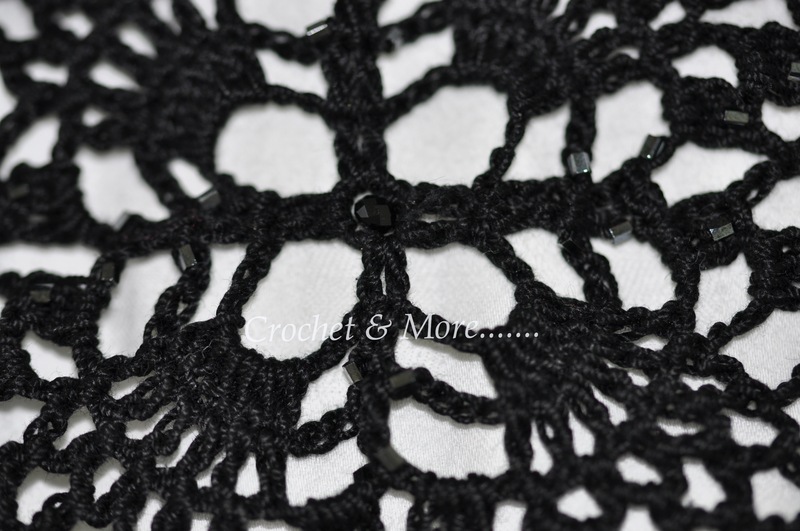 Thus if you need 3rows and 4 columns of motifs for the back…..Keep adding on newer motifs to the already hooked one by using the final row of the motif being worked on as the joining agent. 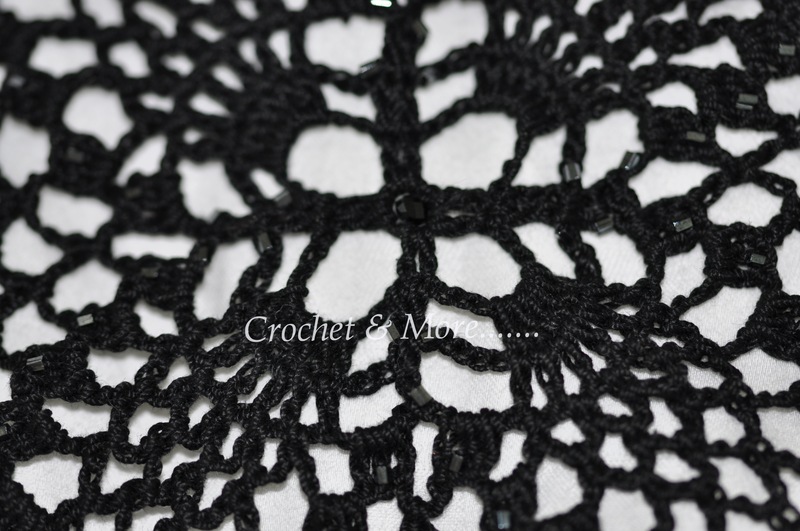 After joining the motifs, crochet in a border of double crochets all around each of the front pieces and the back portion. 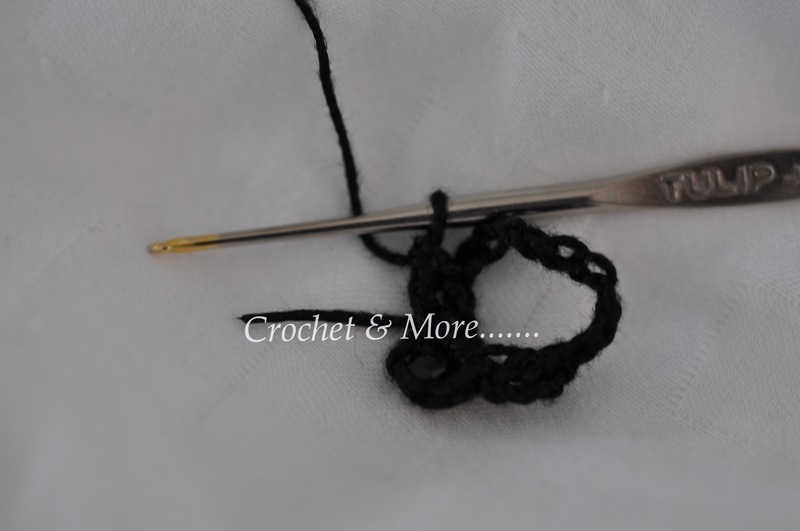 This helps define ur work as well as to help it lie down without the edges curling up. The 2 pics below show the 2 front and 1 back portions of the vest. 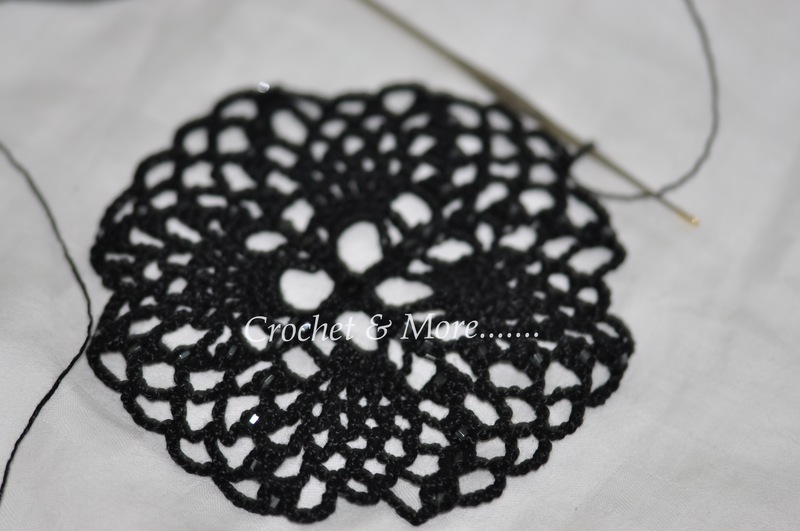 Then join the pieces with either whipping stitch or single crochet stitches. 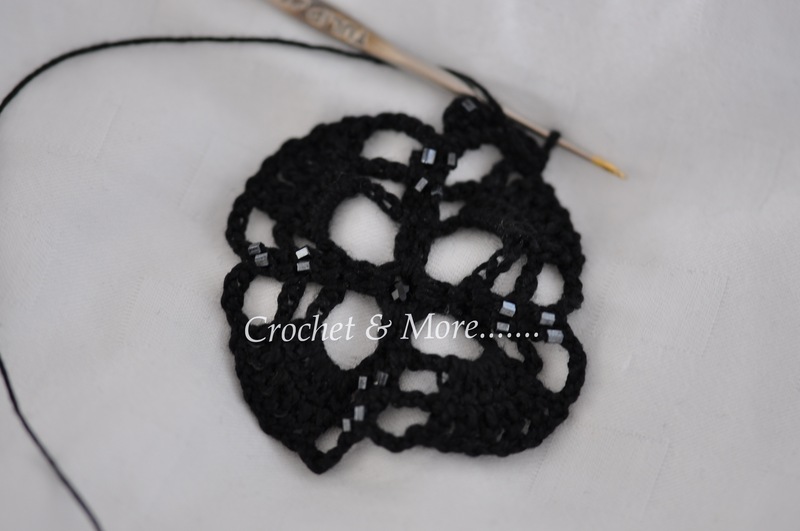 Once the 3 pieces are joined…..crochet in a border on the free edges….comprising of the edge each of the 2 front pieces along with nape (back) and the bottom edge of all 3 pieces. After working in the dc border slip stitch and finish. 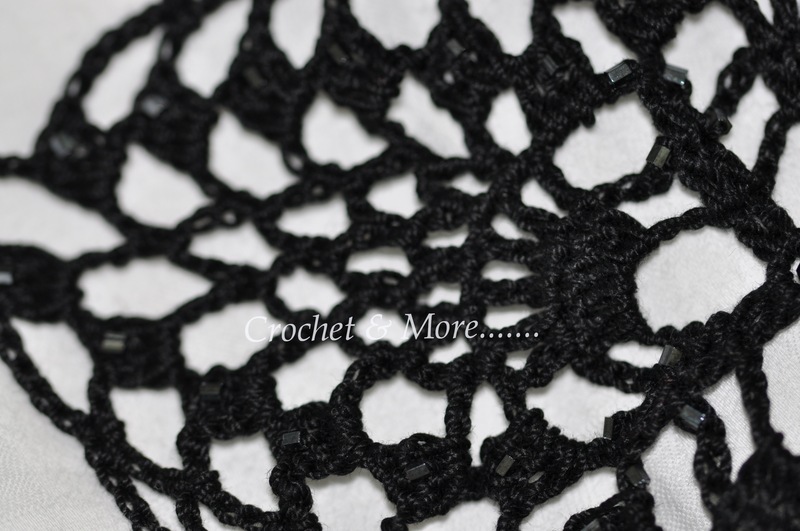 Then Chain 1 up and a sc in the same stitch; *15 chain skip 12 dcs, sc*( Repeat** until a looped border is made )…Slip stitch. 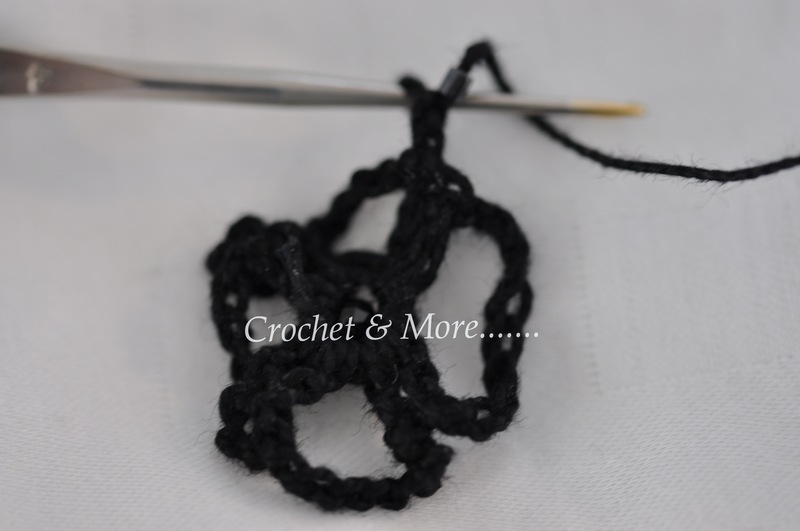 Then , Chian 1 up, sc in same stitch, *sc into the 15 chain loop, 3 chain picot, sc*(repeat ** in the same loop 4 more times. Repeat this on all the loops. 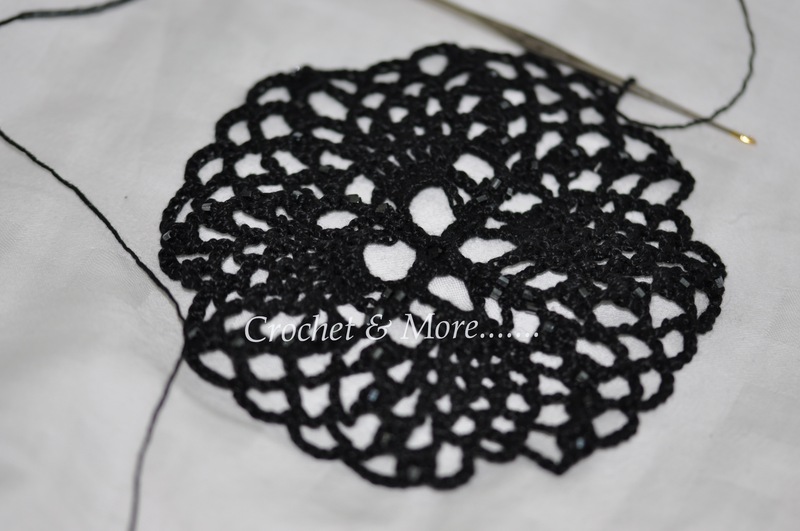 The below picture gives you an idea of how the border is to be done. This is a lovely vest…especially if you add beads to it….Those lovely subtle Japanese beads adds to the look of the vest….A nice finish …for a very special, night out . 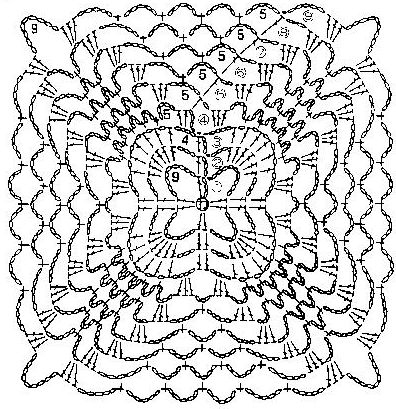 Thanks for the pattern share. What size would you say this fits? 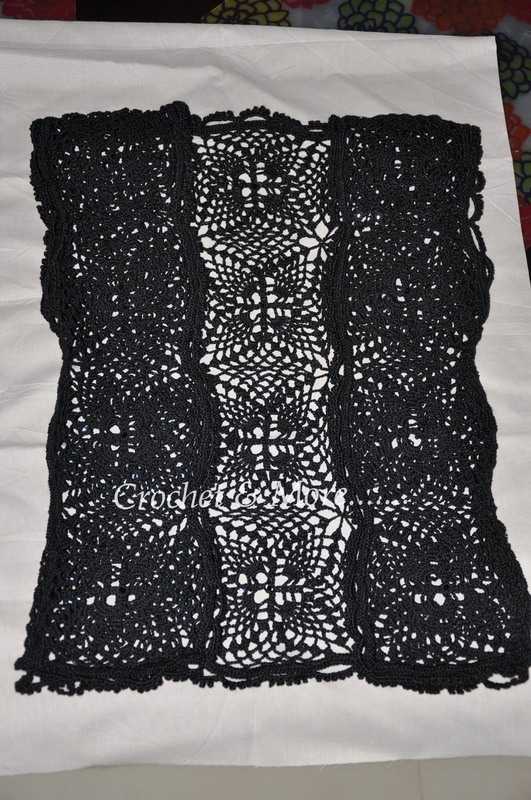 Rohini…This is a size 8..(UK) shoulders..36 cms, Waist 25, Length 50 cms. 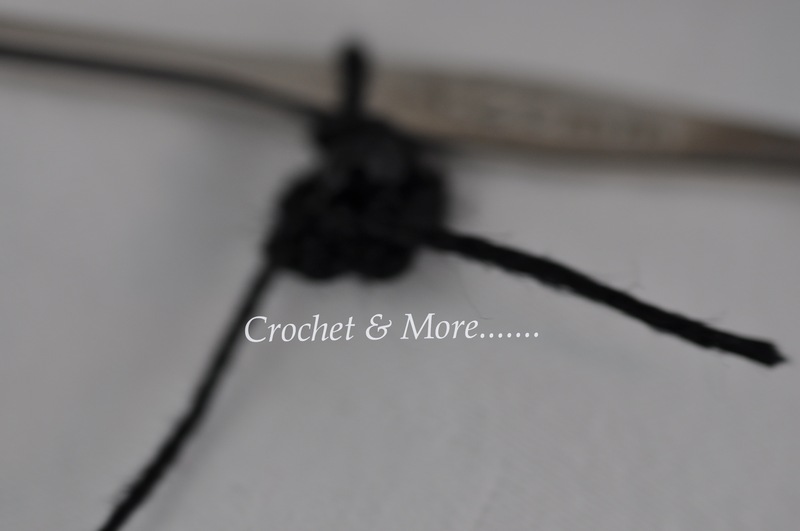 Thanx…. :-)..It’s an easy one Suja….